The Raspberry Pi 3 is a credit-card sized computer board that plugs into a TV or Monitor. It’s a miniature ARM-based PC which can be used for many of the projects that a desktop PC carries out, including spreadsheets, word-processing and games. It is also capable of playing HD video. 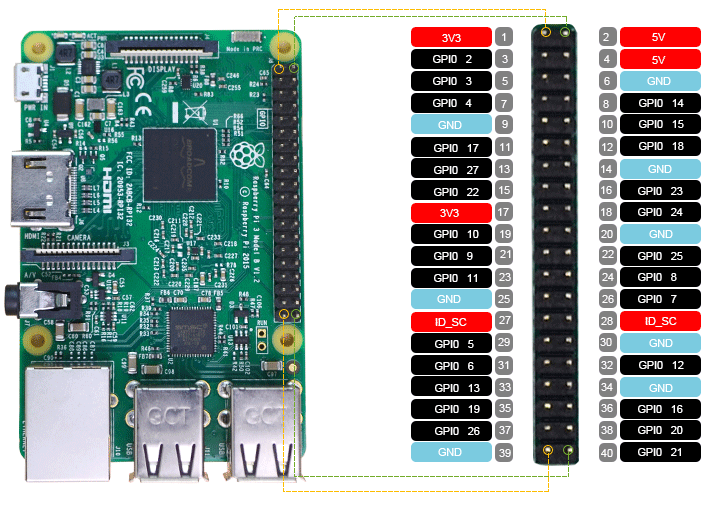 ● Raspberry Pi 3 Model B board is the 3th generation Raspberry Pi, which can be used for many applications and supersedes the original Raspberry Pi Model B+ and Raspberry Pi 2 Model B. ● Whilst maintaining the popular board format the Raspberry Pi 3 Model B brings you a more powerful processor, 10x faster than the first generation Raspberry Pi. ● It adds wireless LAN & Bluetooth connectivity additionally making it the ideal solution for powerful connected designs. ● Now 10x Faster - Broadcom BCM2387 ARM Cortex-A53 Quad Core Processor powered Single Board Computer running at 1.2GHz! ● 40pin extended GPIO to enhance your “real world” projects. ● Micro SD slot for storing information and loading your operating systems.